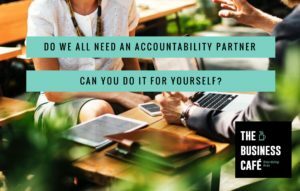 Do we all need an accountability partner? I have never seen an obvious pattern of who uses what method. What I do know and acknowledge is that accountability is essential, we must set tasks and deadlines and know what we must do to get to where we are heading. Never (rarely) getting in a car just for the sake of driving it. So, today’s thought is about this and I hope this sparks some comments that helps everyone discuss this. I have just taken the test and I can see the benefit of this and want to dig deeper into this subject. I will add my test result in the Comments and share my thoughts on this.